This episode was all about Catching Up as I wanted to catch you all up on what had been going on in my world before I dove back into quilting history. You can listen to the episode on iTunes, Podbean or on Stitcher Radio. You can also listen directly from this website by clicking on the Podbean box to the right. I've made a few mug rugs - this one I *free-motioned quilted* for the first time. Yes first time! 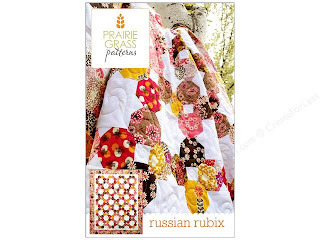 Jaye of Artquiltmaker.com and I are about to start collaborating on a new quilt with a pattern called Russian Rubix. She has ordered us plastic templates to make the cutting process much easier for the OCTAGONS! I called them Hexi's in the podcast....bad Susan. Here is a little mug rug I made with the test block for Russian Rubix. Nothing spectacular but it did illustrate that when using prints I need to be aware of how they will fade into the background fabric if not considered correctly. I'm already researching, reading and writing for my next podcast - coming soon! P.S. I spoke about the TPA's in the podcast. I learned yesterday that they are my nemesis no longer as I PASSED! Very, very happy Susan now. I will listen to your podcast one day this week while I am sewing. 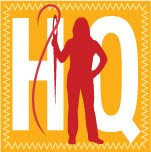 I have that pattern so I am interested to see how your quilt comes together. Congrats on the great news! Glad you passed! I love your dress. It is beautiful. 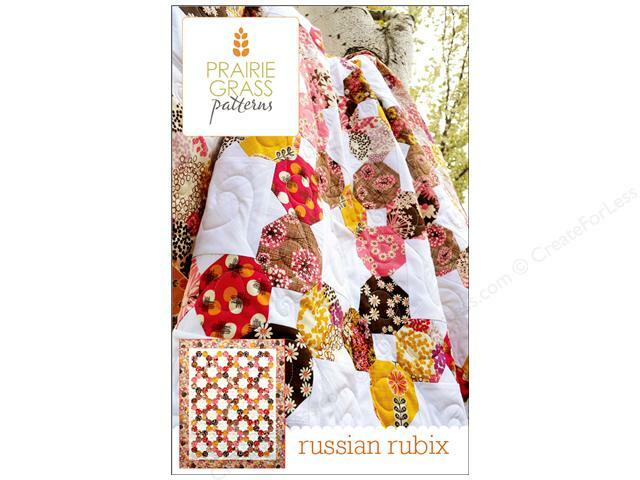 The quilt pattern does look intriguing. I look forward to seeing how you two each do it. I haven't listened to the podcast yet, but wanted to say CONGRATULATIONS ON PASSING THE TPA'S!!!!!!!!!!!!!!!!!!!! can't wait to catch up with you :) congrats on the TPAs and your first FMQ - definitely smart to start small! also, thanks for the lesson on patterns & background fabrics - I always forget to think about that until it's too late. Oh, I'm so glad you passed! Now you're a real teacher!! No, correct that. Now you are an official teacher - I think you have been a real teacher for a long time. Really liked your episode. Keep up the good work! Congratulations! I think you're already a great teacher - your enthusiasm is fabulous! Thanks for podcasting when you can, and no worries about delays between posts - you are a busy person! Congrats! I just caught up on your podcast this morning on my ride into work and quickly checked your blog to see if you'd posted an update. So glad you did!! Your future students are lucky indeed - I can tell by the way to talk about teaching that you are truly passionate and they will be the beneficiaries! Enjoyed your last podcast-loved the mug rugs, I should make more of those! Also loved your maxi dress! Cute! Listened to Good Food and wondered if you entered pie this year since last year it did not work out! Thanks again for the podcasts!